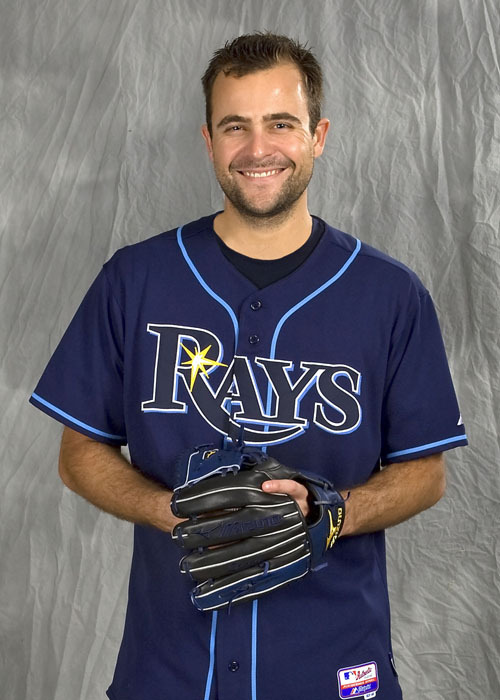 The Tampa Bay Rays will be unveiling their new alternate jersey later today. 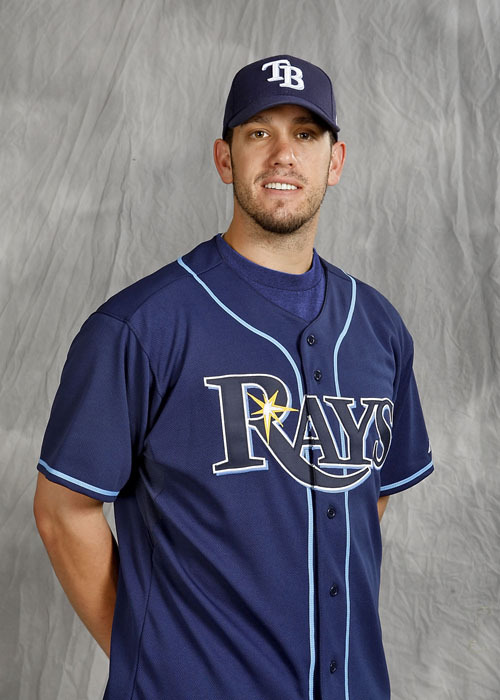 Above is James Shields sporting the new threads (click here for The Duke wearing the new jersey). All-in-all, the new jersey is not terrible. We would have liked to have seen “Tampa Bay” across the front and maybe even a new patch on the sleeve as a shout-out to the city of St. Pete. On the other hand, at least we won’t be subjected to any more “pit stain” games. I like it, but I don't see any difference in sunburst--am I missing anything? It's called a lease. Those who rent shouldn't be shocked to hear that you can't just pick up and leave at any time without consequences. I don't think anyone is arguing over the lease, but the longer St. Pete screws around, the cheaper the termination penalty gets. They are playing with fire. By the way, I seriously doubt that anyone involved in the site search process thought that the City was going to waive the termination penalty if the team leaves the City. I am curious to know what precipitated the letter from the City attorney. Also, Prof, I think the post currently says Andy Sonnanstine is in the main pic, when it is Shields. i will try to find the exact numbers but most believe that by 2012, the year the new park was originally scheduled to open, the amount remaining on the lease would be quite manageable and could easily be bought out by the team. especially if another city offers to help pay for a stadium, thus saving the Rays money on that end. OK, the sunburst IS larger... but why? Shields: "I'm sorry sir, but I can't let you in this section without a ticket"
the sunburst is larger because that is the new "brand" of the franchise, and they eventually want people to think of the Rays when they see that sunburst and vice versa. so it is larger to shove it down our throats a little more. It's like someone turned the lights out on the home jersey. Instead of a Tampa Bay script on the front, I would have liked if they had done it the way they did the old all-green alternate jerseys, by putting the cap logo on the left side. I like them, but they are too similar to the other jerseys. I wish they had Tampa Bay or TB on them, but oh well. There's that damn sunburst again, with greater significance than ever. I'm guessing the alternates don't have the Devil Ray patch on the sleeve? "The city of St. Pete made it clear that they want the new Rays stadium within the city limits." That may knock out some of the possible sites but it opens up Tierra Verde as a choice. Ha ha.